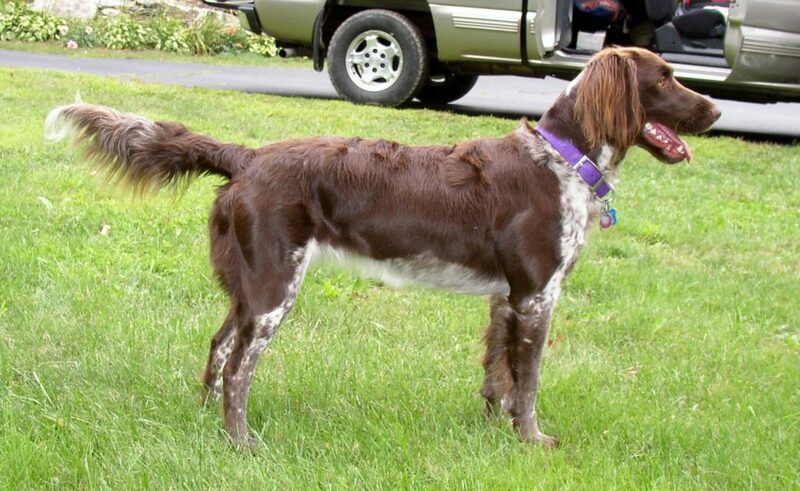 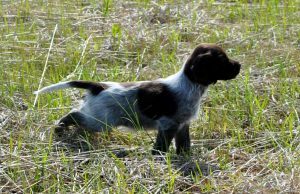 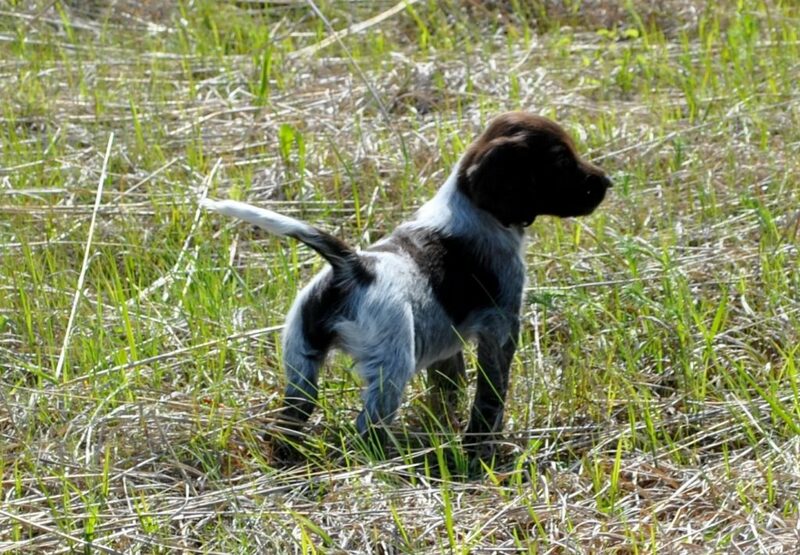 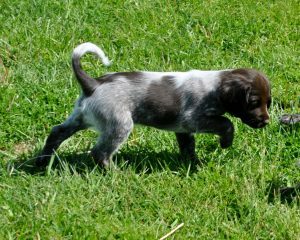 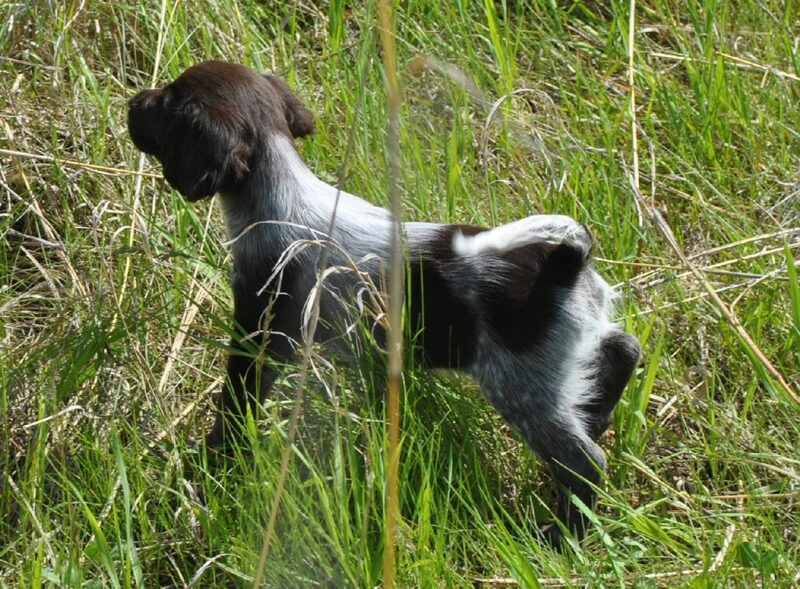 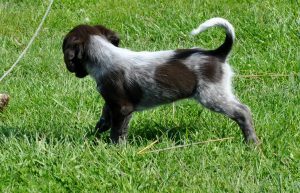 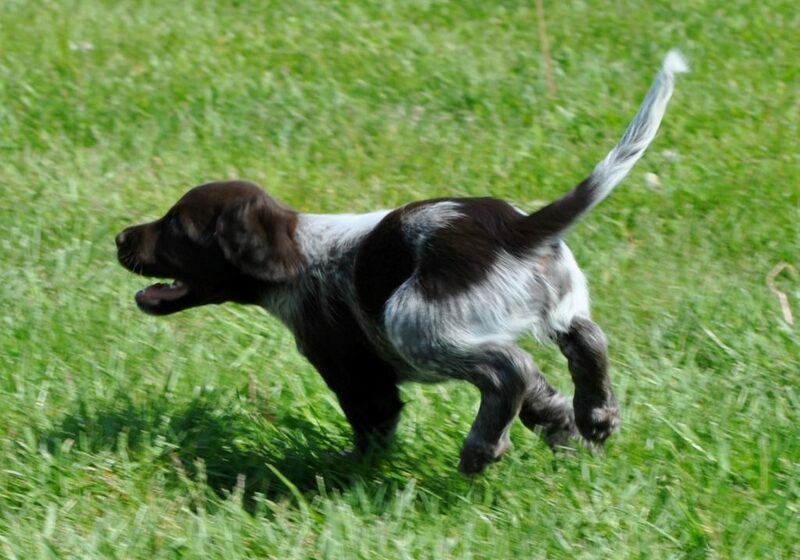 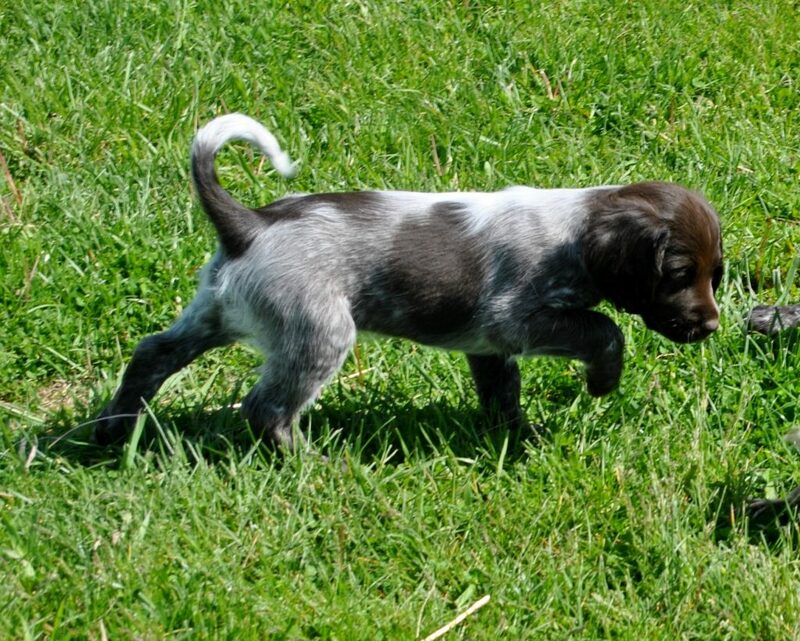 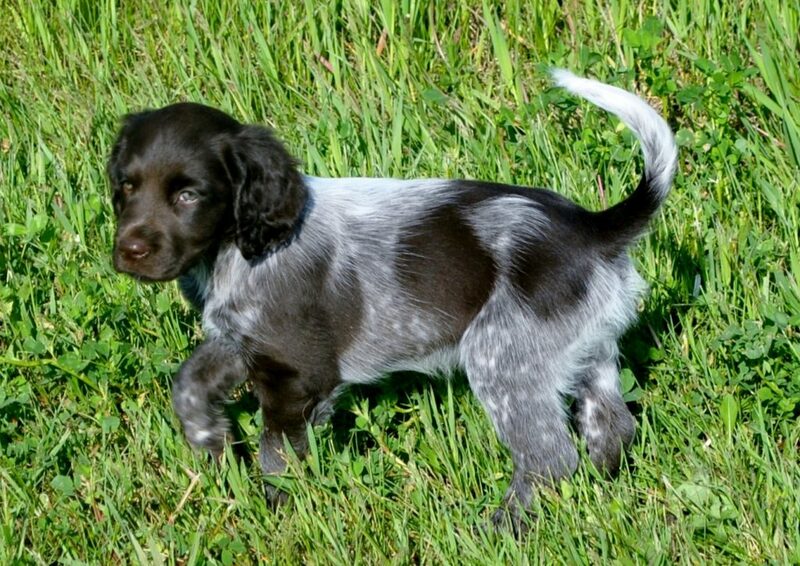 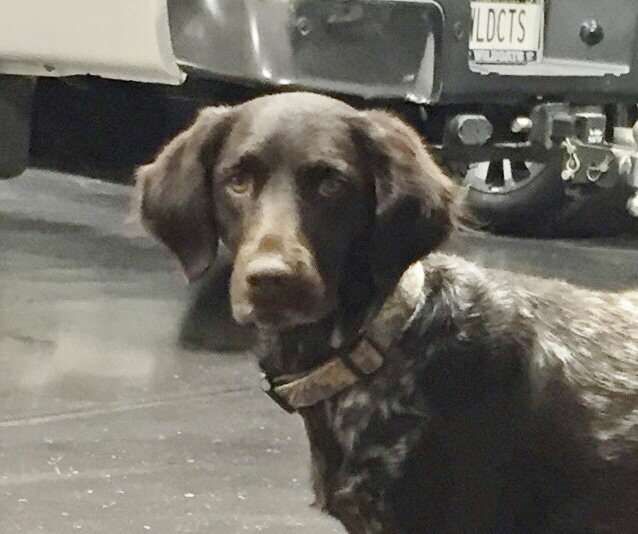 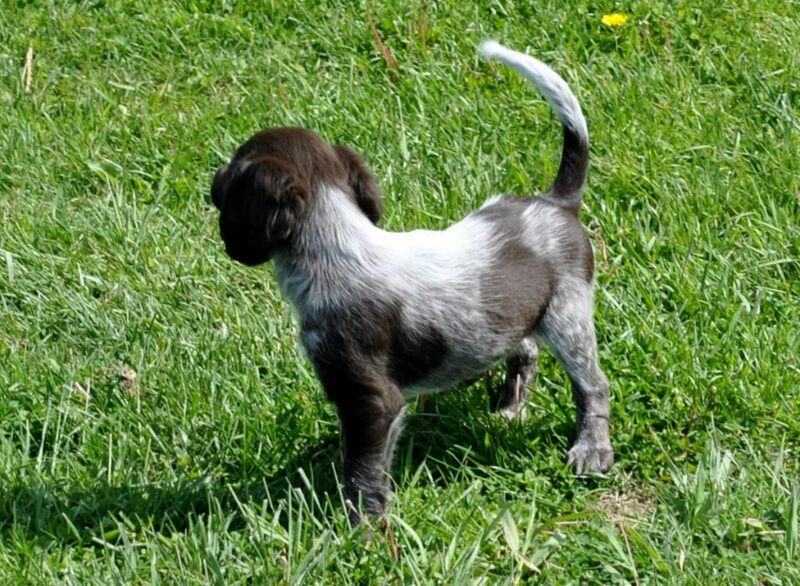 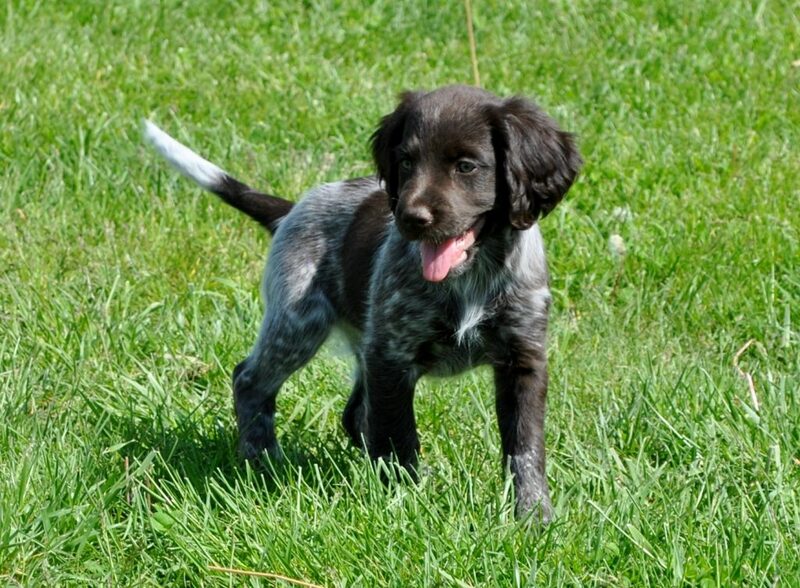 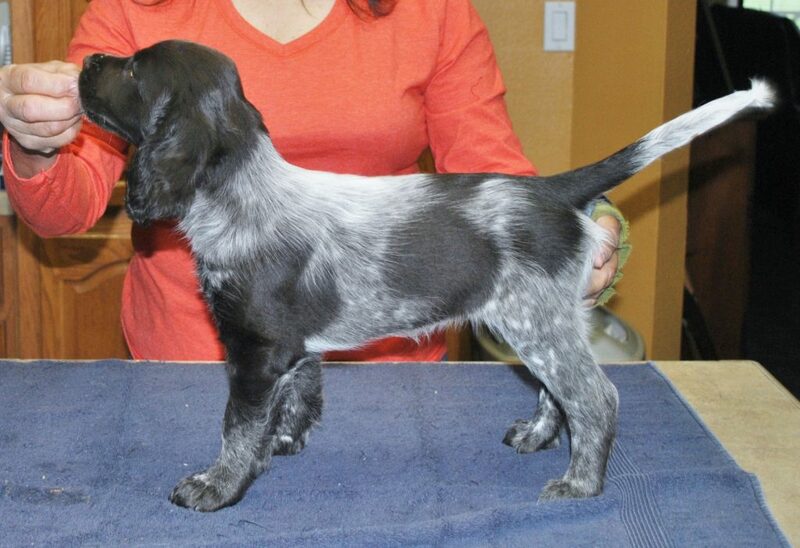 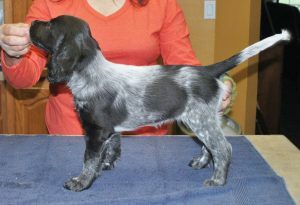 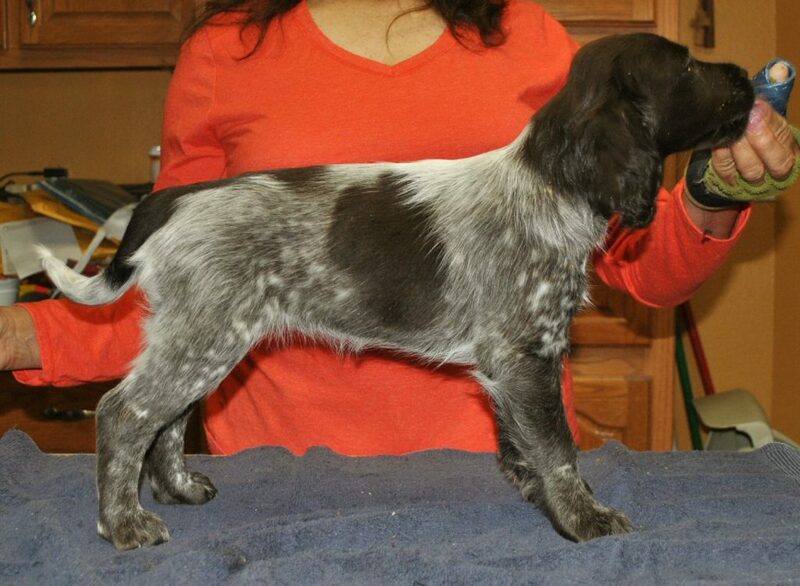 Hunting Hills’ Annie Oakley is from HHK AA litter consisting of 9 puppies. 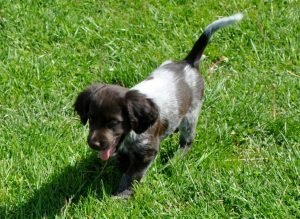 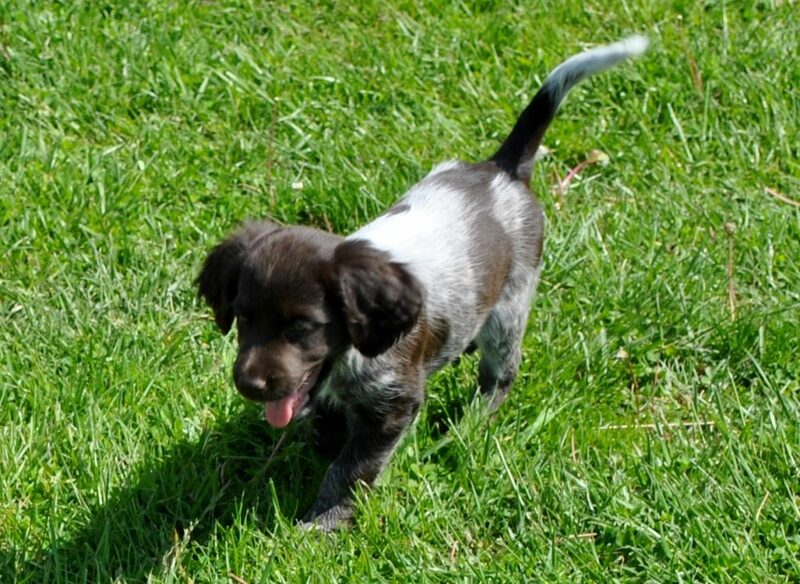 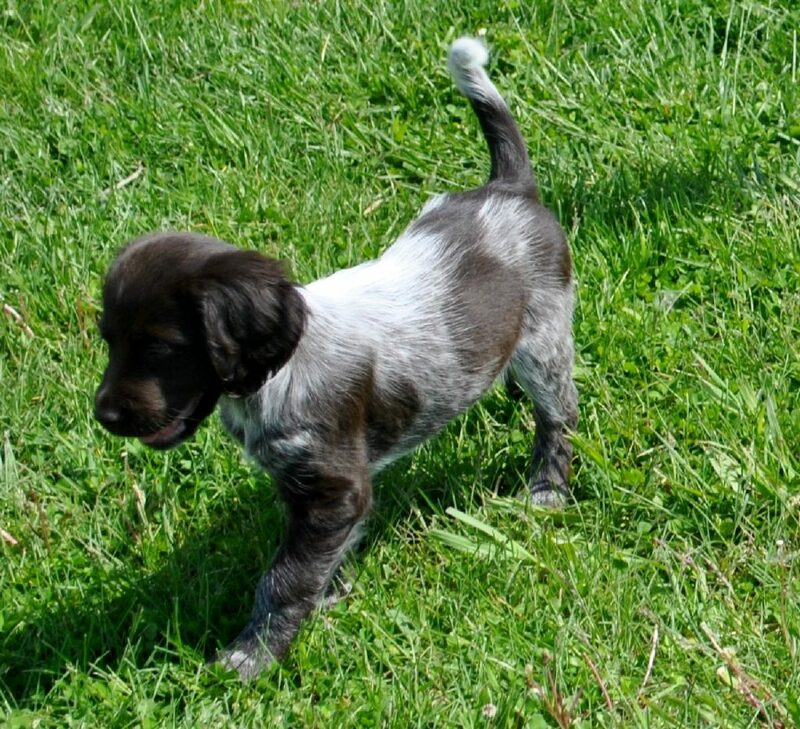 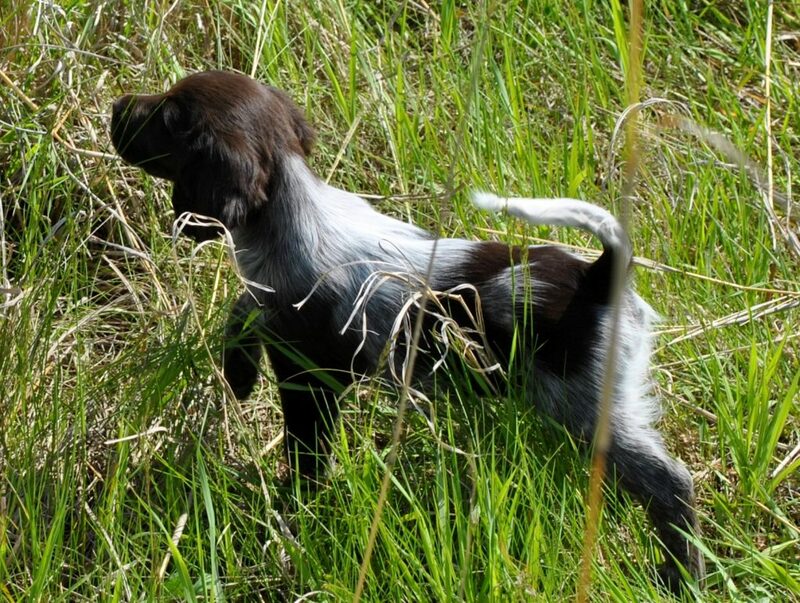 Our AA litter was a SMCNA & NAVHDA NA Breeders Award litter with 5 puppies passing their Natural Ability test. 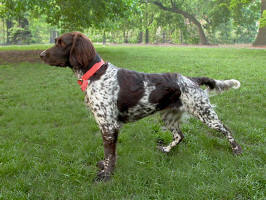 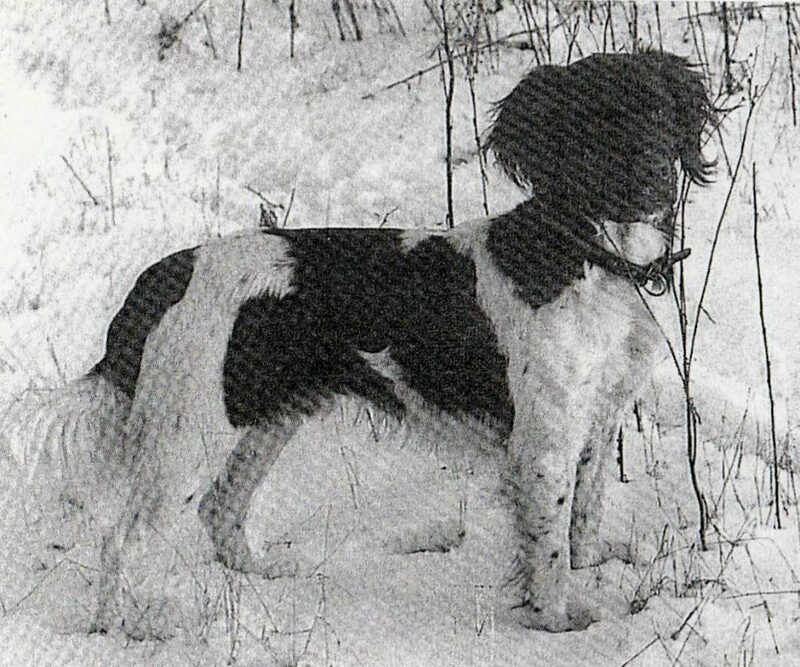 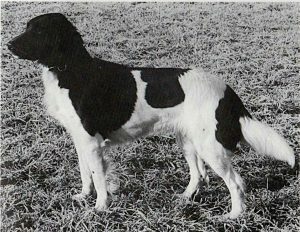 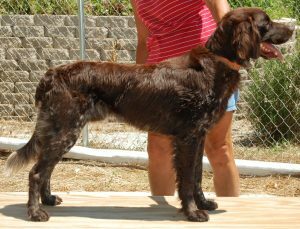 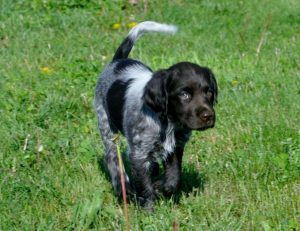 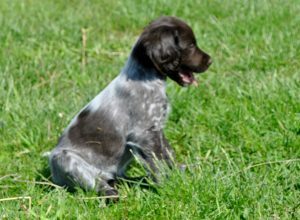 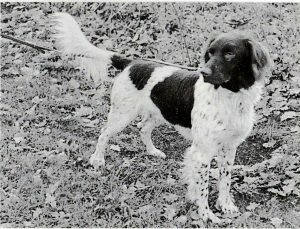 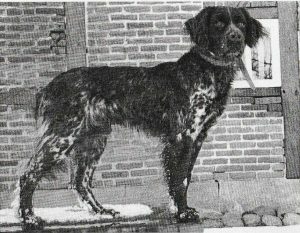 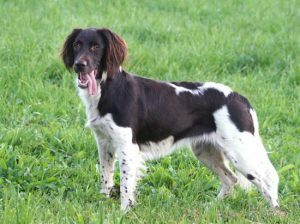 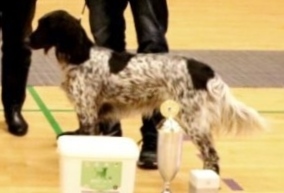 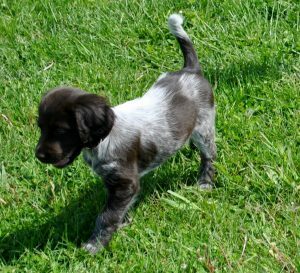 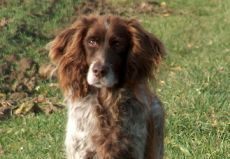 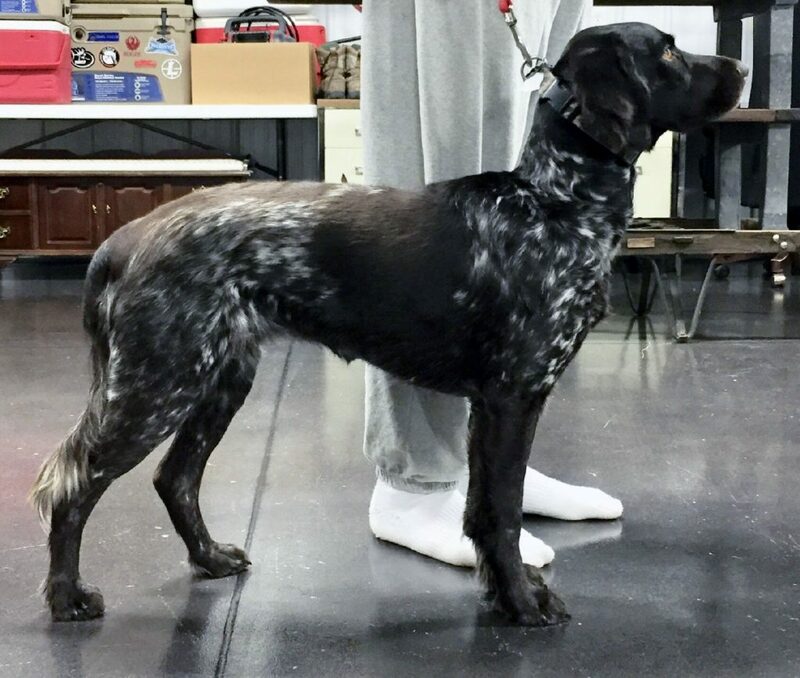 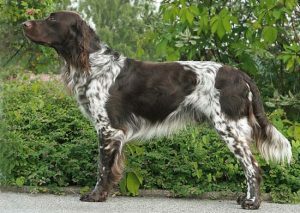 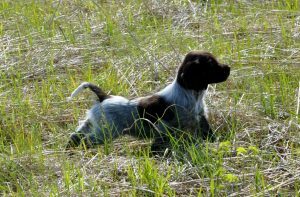 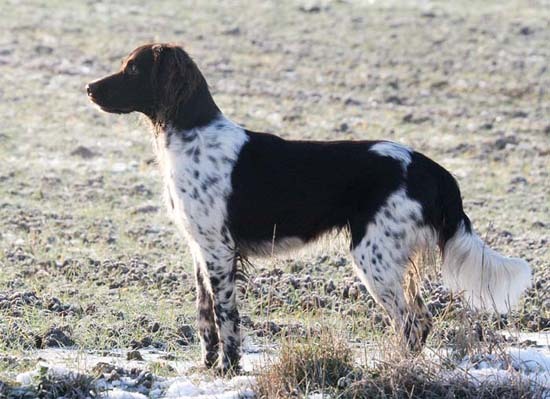 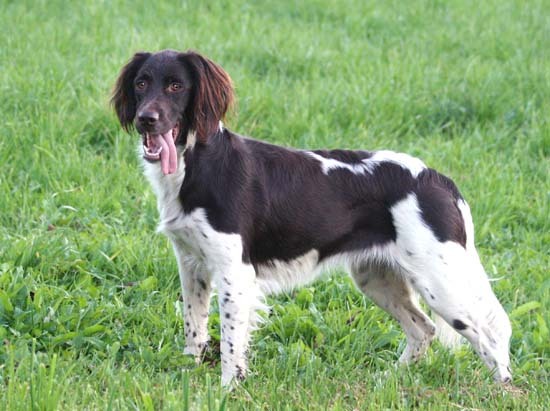 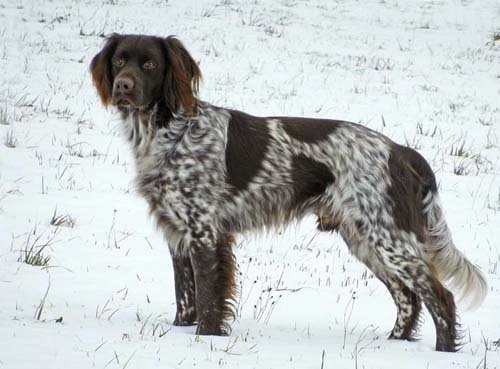 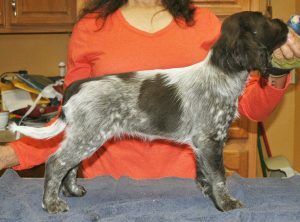 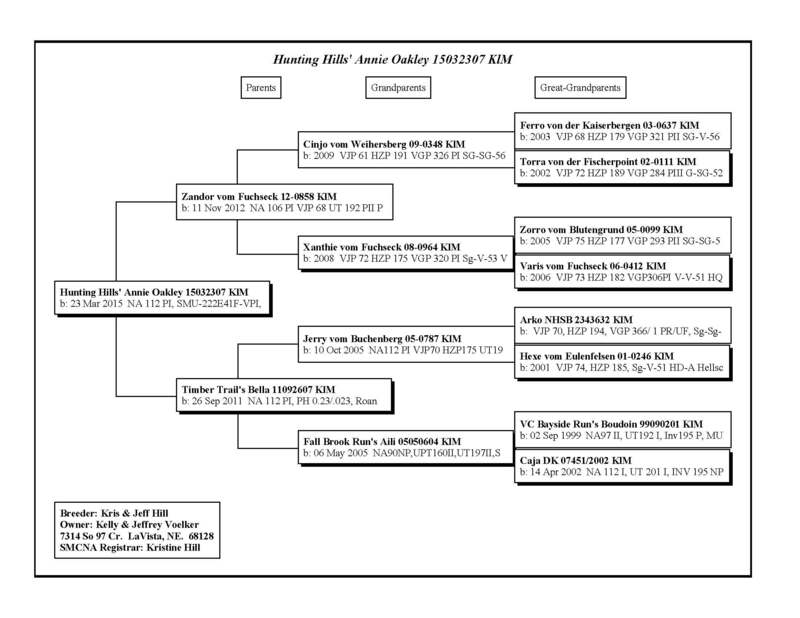 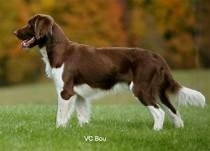 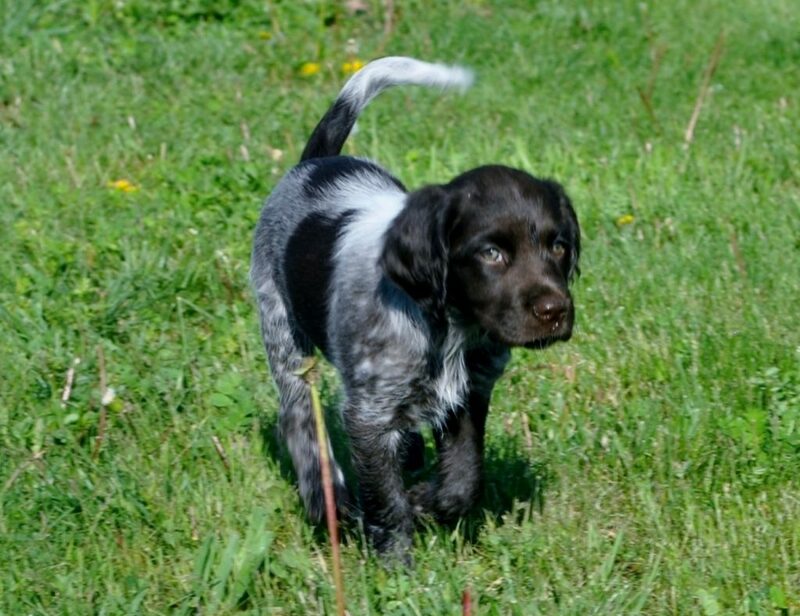 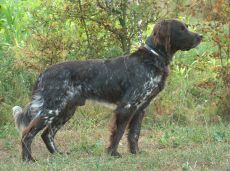 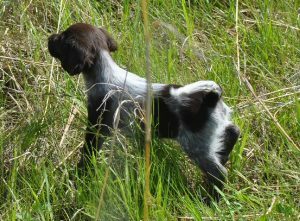 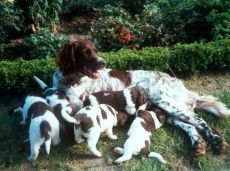 Oakley’s father is a German import Zandor vom Fuchseck 12-0858 KlM from top German breeder Uta Schumann and owned by Pam and Mario Robinson. Zandor has produced 26 litters in the US. 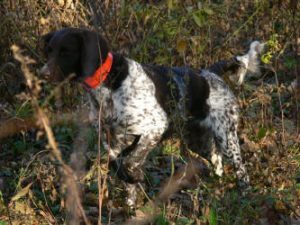 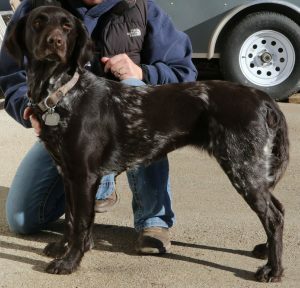 Oakley’s mother is Timber Trail’s Bella whose breeder is SMCNA president, Mark Schnubel. 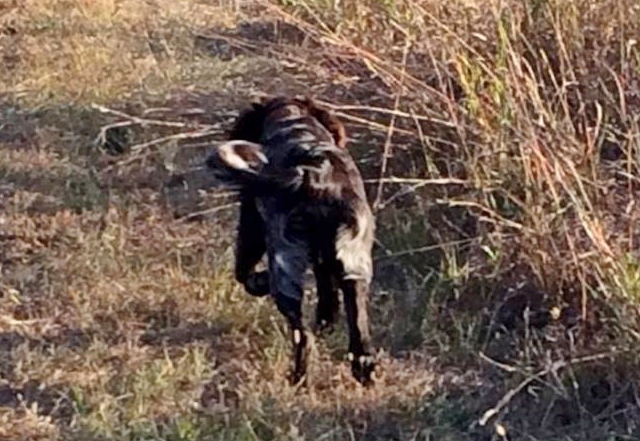 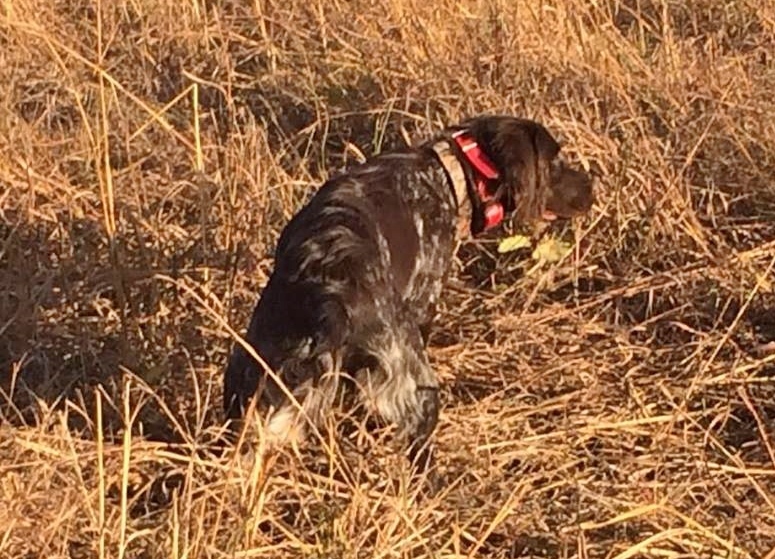 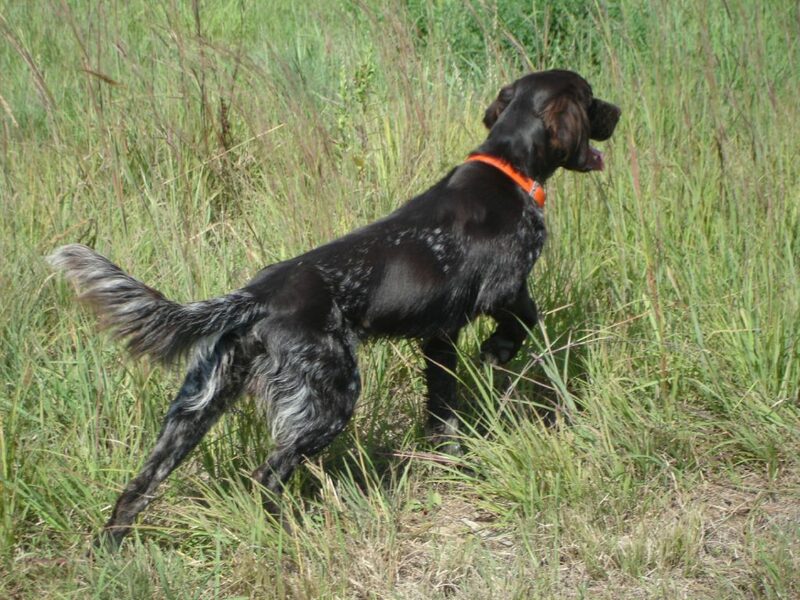 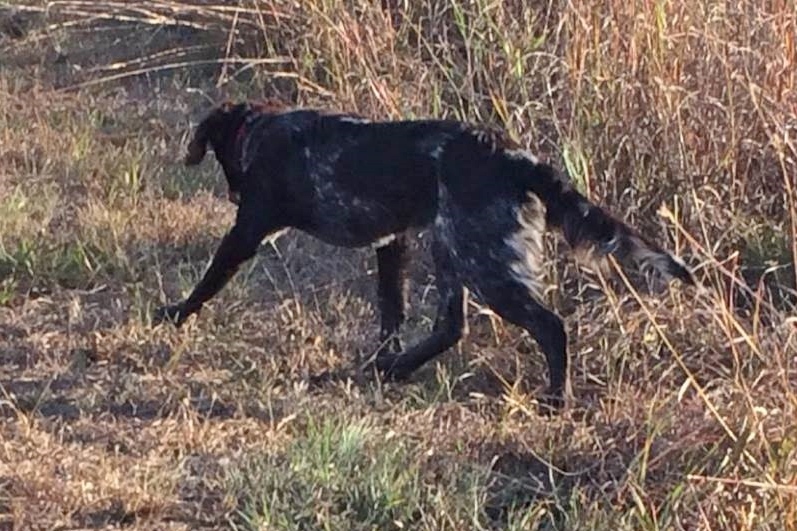 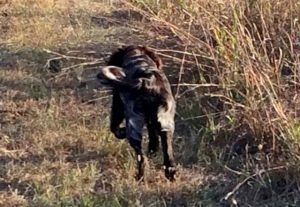 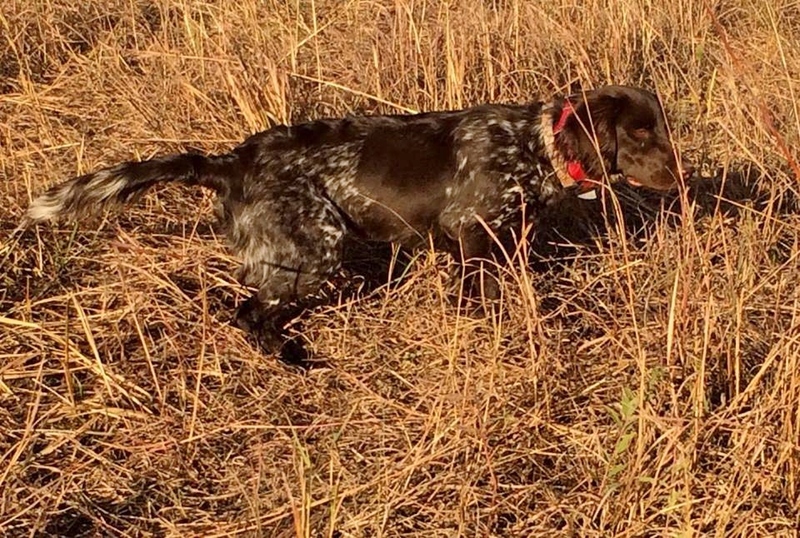 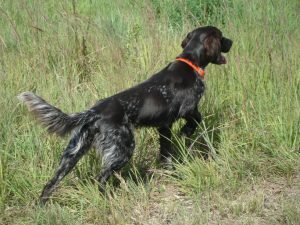 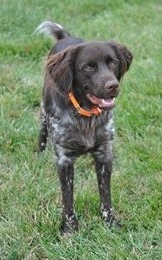 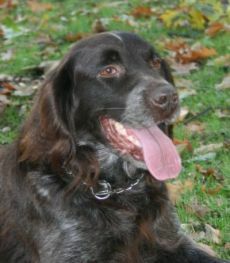 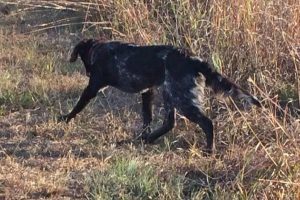 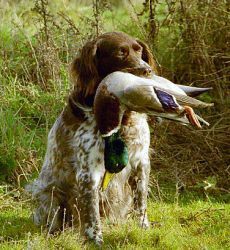 Oakley is very athletic, a natural retriever, has a big search in the field and an excellent nose for finding game. 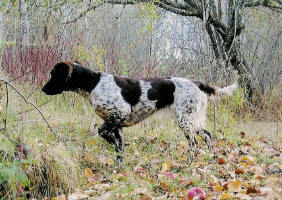 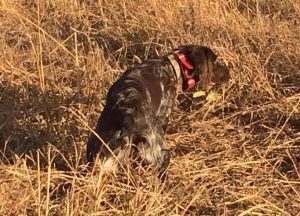 Although she has a big search in the field, she is very cooperative and checks in often. 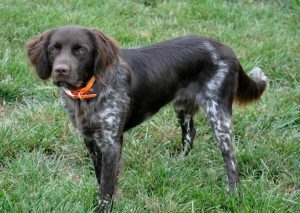 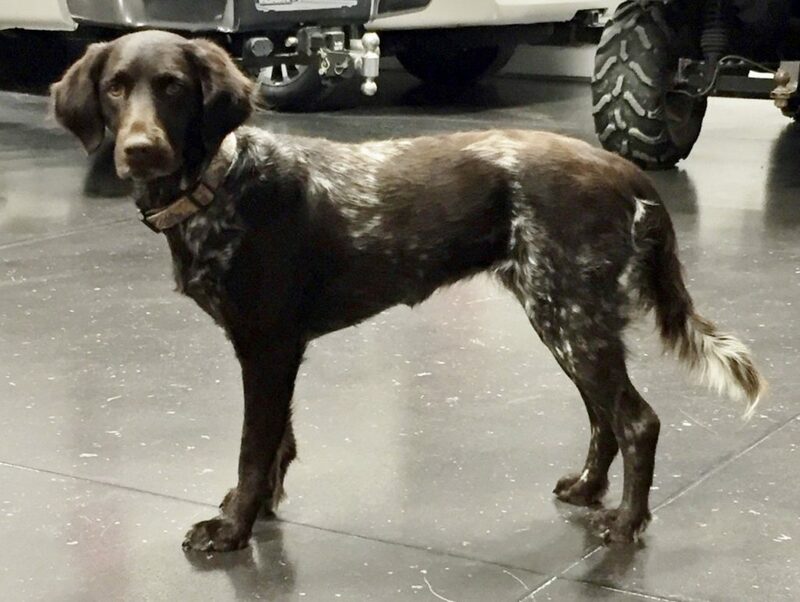 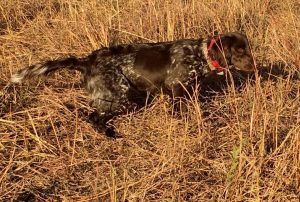 She is owned by Jeff and Kelly Voelker in Kansas where she is their go to retriever on their hunting trips.